Whenever companies spearhead strategic sourcing initiatives, executives pay close attention to which original equipment manufacturers operate in countries exercising public policies that favor commerce. The more difficult it is for producers to turn out their products, the harder it is for entities procuring those items to sell them at a price consumers will favor. Even people residing in developed nations prefer to purchase quality, affordable goods. There is such a thing as poor public intervention as well. If a government fails to conduct thorough marketing analysis before giving certain manufacturers funding, it could result in significantly negative consequences. For example, if authorities give money to companies that produce headphones, but global demand for such products is low, enterprises creating headphones will operate at a loss. According to The New York Times, China's 2013 light-emitting diode (LED) sector used to be an industrial policy nightmare, with subsidies from state-owned banks and local governments going to waste. Luckily for the nation's economy, demand for LED lighting is burgeoning, with factories operating to their full potential. Although Chinese officials failed to make an accurate prediction as to when LED demand would skyrocket, China's backing of the industry is a boon to enterprises looking to source such products from the country. 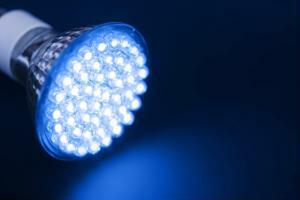 As far as global sourcing of LED technology is concerned, China appears to be reigning supreme. The news source acknowledged that Chinese manufacturers are highly capable of producing strong, low-wattage LEDs used for TV and cellphone backlights - effectively making those products much cheaper. Producers of devices such as smartphones and tablets favor this outcome. The more affordable the components used to assemble the units, the more companies can lower the pricing of these commodities. The Star Tribune reported that consumers are seeing LED light bulbs priced at $12 or less, offering different subsets such as soft white, incandescent, bright white and fluorescent. That's a considerable difference compared to what consumers paid back in 2010, when such products cost $40. Although it may not compare to bulbs that cost no more than $2, a 60-watt incandescent can save consumers about $125 per unit. In addition, a wider variety of LED lights have been introduced to the market, giving shoppers more flexibility. "This summer is a good time for consumers to discover LED," Mark Voykovic, a merchant for Home Depot, told The Star Tribune. It's easy to see how cheap, mass production of certain goods can trickle down to benefit customers across the globe.